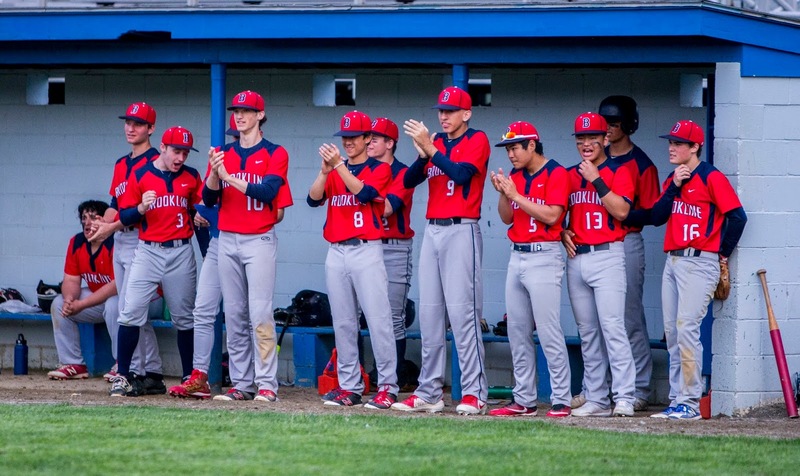 A wild extra-inning win over Braintree on Thursday night has Brookline back in the Super Eight discussion. The regular season is officially entering its final stages with most teams having now completed two thirds of their schedule. This week saw plenty of notable results as St. John’s Prep picked up a pair of big non-conference wins over St. John’s Shrewsbury and Newton North while Mansfield swept the week including victories over Franklin and Braintree. Wellesley etched Walpole to move further into the conversation, Brookline defeated the Wamps, and Xaverian locked up the Catholic Conference title on Monday. A huge week is on the horizon for the Hawks as they take on fellow contender Plymouth North on Wednesday which could go a long way towards deciding one of the last spots. There are also a bevy of teams including Beverly, Belmont, Catholic Memorial and Masconomet who may not be listed in the projection right now but could easily work their way in over the next week. Overview: The Eagles move up into the top spot of our latest projection following a win over previous number one St. John’s Shrewsbury on Monday and a vicrory over Newton North on Friday. The Eagles have won nine of their last 10 behind a bevy of arms and standout top of the order that includes the likes of Josh Cerritani, Tyler MacGregor, Alex Lane, and Mike Yarin. Four wins in their final five games should all but lock up a top two spot. Overview: The Mountaineers picked up three more wins this week to improve their record to sparkling 15-1. Their offense continues to fire on all cylinders around heavy hitters Barry Walsh and Cole Durkan. Mike Maher continues to produce at a consistent rate out of the leadoff spot. As long as they take care of business elsewhere, a win over St. John’s Shrewsbury on May 31st would all but lock up one of the top three spots. Overview: The Pioneers drop from the top spot following a loss to St. John’s Prep and fall behind Wachusett due to the head-to-head result, for now. In recent days St. John’s has run into some tough injury luck but undoubtedly received a welcome sign when Nick McDonald returned Monday against St. John’s Prep even if only for an inning of work. Down the stretch, the Pioneers face one of the toughest schedules in the state with road trips to BC High and Braintree as well as a rematch with Wachusett all on the docket. If St. John’s just takes one of those three, they should be in line for a top six spot. Overview: Lexington slides down a slot after falling to Woburn on Wednesday. 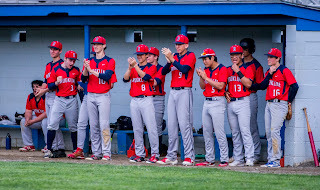 To their credit, the Minutemen quickly rebounded and knocked off Reading in a must-win game on Thursday to stay alive in the Middlesex League Liberty hunt. We find the four and five spots to be largely interchangeable, but for now the Minutemen's biggest bargaining chip is a 7-3 win over BC High so we're leaving them here for the second straight week. With having only played just one Division 1 game so far, however, Lexington still has work to do and that begins on Monday when they head to Catholic Memorial to take on the Knights. Overview: The Eagles won their only game this week on Monday, a 7-0 victory over Lincoln-Sudbury. More importantly, however, BC High’s ace in Mike Vasil was cleared and is scheduled to pitch on Tuesday versus St. John’s Shrewsbury. While Vasil was out the Eagles finished with a 6-3 record, and have eight victories without him on the mound, which is more than all of last year. If BC High can defeat the Pioneers on Tuesday, and win at least four of their other final five games it would likely be a pleasant selection Sunday. Overview: The Raiders remain in the sixth spot in our projections, missing a chance to move up due to a 4-3 loss to Lawrence on Thursday night. The biggest game of the week for Central Catholic, however, came on Monday as they squeaked past Andover, 1-0, in 9 innings despite a dominant performance from Golden Eagles’ starter Cedric Gillette. A crucial closing stretch looms for the Raiders in an effort to solidify themselves as one of the "locks" of the field. If you have not gotten the chance to see Steve Hajjar pitch in person, do so before its too late. Overview: As is usually the case, we feel pretty good about the top six spots as of now but here is where it gets tough. The Rebels faltered in their only game of the week this week, a 6-2 loss to Wellesley on Monday. Walpole was supposed to come back and play Braintree on Tuesday but that was called off due to rain. Despite the loss Walpole hangs on to the number seven spot due to a strong pitching staff highlighted by junior Cam Schlittler and a non-conference win over Xaverian. Down the stretch the Rebels have tough matchups against the aforementioned Wamps, Brookline, Newton North, and a possibly decisive game next Friday night versus No. 7 Mansfield so they will have plenty of opportunities to prove they belong in the field. Overview: We have a new entrant in the number eight spot after what was a terrific week for the Hornets. Mansfield began the week by avenging an early season loss to Franklin with a 10-3 win over the Pantehrs and capped off it by holding on for a 5-4 win over Braintree. Sandwiched in between was an 8-1 win over Bishop Feehan. Overall, Mansfield has now won nine in a row spearheaded by a strong pitching staff. Tyler Dalton and Kevin Dow lead the rotation while Dan Sarceno is the fulcrum of the lineup . There is a long way to go, and Xaverian, Austin Prep, Plymouth North, Brookline, and a hosts of others will be in line to compete for the last two spots, but for now the Hornets have to be happy with where they are.